Now that we’re past Halloween, the holidays are upon us. You may not be ready, but they’re coming anyway. For the first time in a long time, I will have my Christmas shopping done before Thanksgiving. But that was a self-defense decision, as I have an unusual amount of holiday commitments this year. This may be a year in which you’ve lost a friend – or more than one. 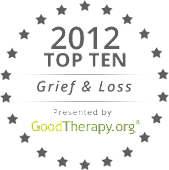 We tend to think of grieving during the holidays in the context of losing a family member. That’s often the case. It’s been forty years since my uncle died in a car accident less than two weeks before Christmas. There was not much to celebrate that year. Even when a death occurs much earlier in the year, the holidays become one of those ‘firsts’ we struggle to get through. But little attention is paid to those who are missing a friend during the holidays. That grief is every bit as important. It’s just too often dismissed. That’s why this Wednesday, Nov. 5, I’ll be the guest on a Google+ hangout on that very topic. CHANGES, hosted by Sally Ember, will be live from 10-11am EST. You can be a part of it or check it out afterwards, if the time conflicts with your schedule. I hope to see you there with lots of questions for us! If you can’t make it, but would like to have your question answered, email me at victorianoe@friendgrief.com, and I’ll do my best to include it in our discussion.